A Taliban assault on an army-run school in the Pakistani city of Peshawar left at least 23 people dead and 40 others injured, officials say. Five or six Talibans wearing security uniforms entered the school, officials said. Gunfire and explosions were heard as security forces surrounded the area. The army says most of the school’s 500 students have been evacuated. It is not clear how many are being held hostage. A Taliban spokesman says the assault is in response to army operations. Hundreds of Taliban fighters are thought to have died in a recent military offensive in North Waziristan and the nearby Khyber area. 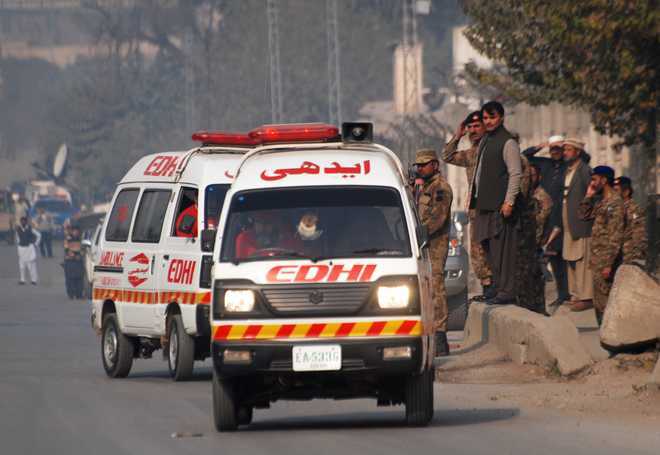 A school worker and a student interviewed by the local Geo TV station said the attackers had entered the Army Public School’s auditorium, where a military team was conducting first-aid training for students. Ambulances have been carrying the injured to a nearby hospital. A helicopter is also in the area. Mudassir Awan, a worker at the school, said he saw six or seven attackers. “As soon as the firing started, we ran to our classrooms,” he said. The dead are said to include teachers, as well as a paramilitary soldier.